Nice one, great profile again. I prefer the more rounded toe you've shaped on this one, personally. Let us know how it goes in a game! Loving that profile, can see myself now. walking out to the middle feeling all powerful then softly chipping one to mid on and trudging back. 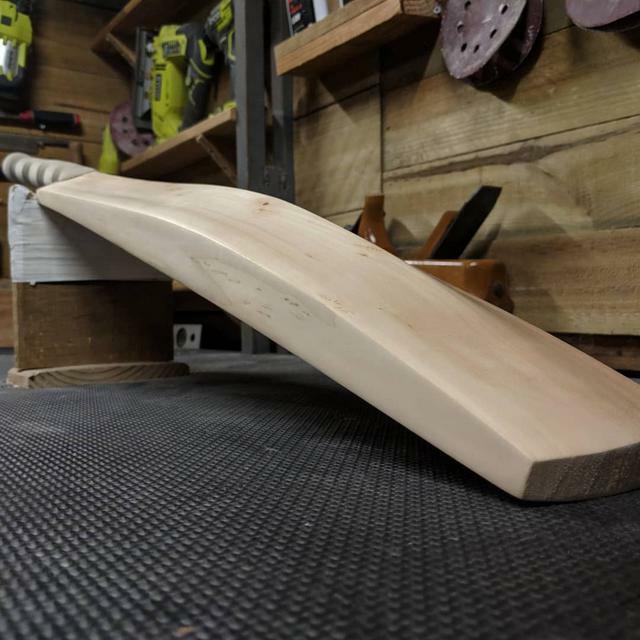 This is what custom bats forum should be all about. Thanks all!, really appreciate the kind words and support. I seriously can't get enough of this process. 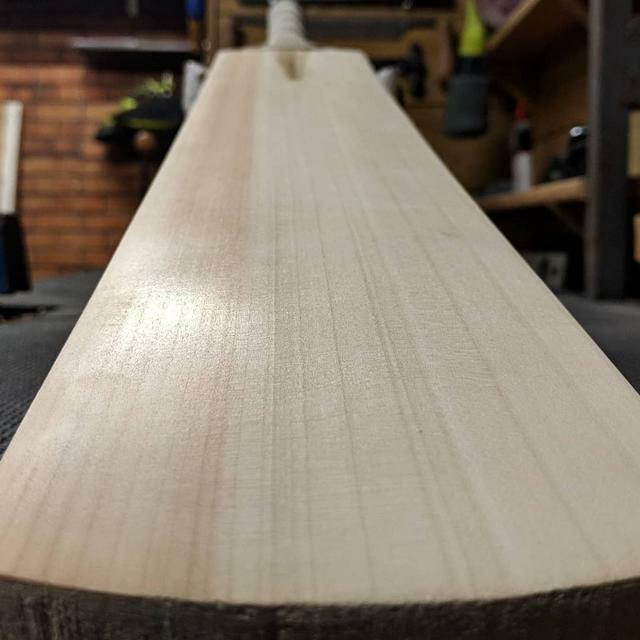 My fingers and hands are blistered and I've got willow dust my eyes ears and nose, but it's all worth it for the sense of satisfaction and pride when a bat is finished. I wanted to play around with a bit of a higher middle and more pronounced spine. I wanted to also experiment with offsetting the middle and the edge. This came out at 2.9 and picks up really nicely. What does offset middle/edge do? Changes the pickup I guess? Remember SAF used to do that a lot. The theory behind it from what I gather is that it extends the sweet spot without sacrificing the pick up. Whether it works or not is up for debate. 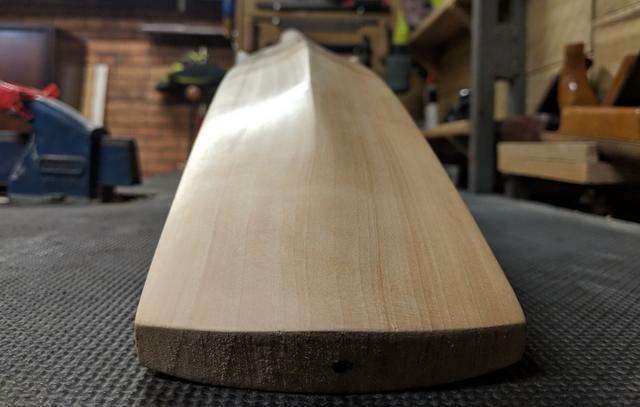 I chose to go higher middle will a lower edge peak purely because the person who this bat is made for plays on synthetic pitches, wanted big edges and not too much concaving, but didn't want anything too heavy so I wanted to distribute the weight as evenly as I could in the mid to high region. Followed you mate. Just about to have a go at this too, so interesting to hear about the process. Fantastic work! 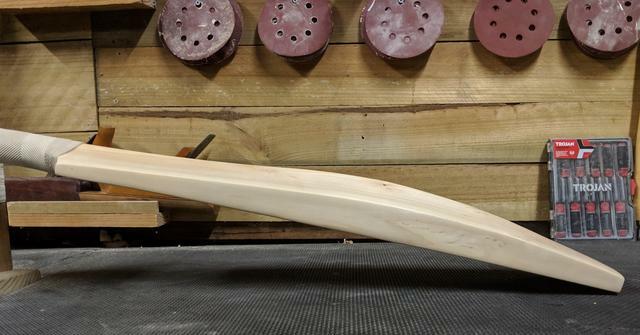 Did you just purchase the handled clefts from Red Ink? No problems with AQIS? Sounds like a great winter project to keep me out of trouble! Page created in 0.474 seconds with 40 queries.